Apr 02 Comments Off on What Is Epidural Lysis And How The Procedure Is Done? What Is Epidural Lysis And How The Procedure Is Done? The condition is commonly caused by leakage into the lumbar spine’s epidural space after the surgical process. Adhesions can result in constant leg pain, yet doctors are skilled for breaking up the scar tissue that works in a way to cause pain with the utilization of a particular catheter and blend of medications. This is actually an epidural lysis procedure. In most cases, epidural adhesions happen after spine surgery, however, in some cases, this can likewise happen after disc herniation because of leakage of disc material into epidural space. 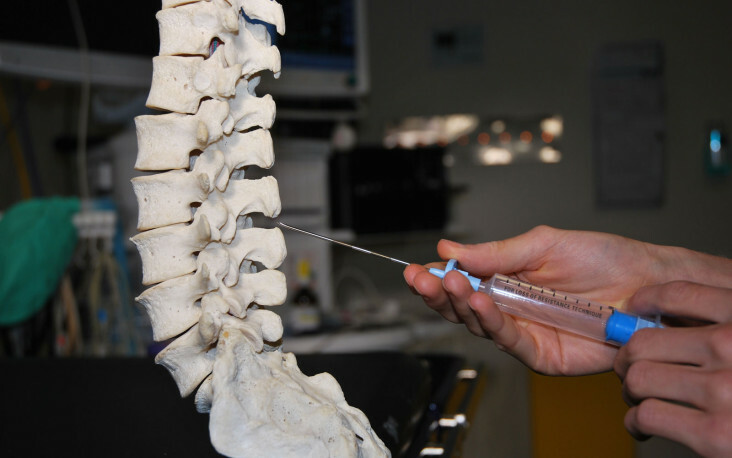 The objective of epidural lysis procedure is to precisely and chemically break off unnecessary scar tissue in the epidural space in order to diminish nerve disturbance and potentially ease the pain. How Is The Epidural Lysis Procedure Done? The patient will be required to lie on the stomach, then the monitors will be attached in order to screen the heart rate, blood pressure, and oxygenation. After the patient has been sedated, the back will be brushed with an antiseptic solution and drape the back with sterile material. The doctor will numb the skin with a local anesthetic. After that, the doctor will insert a particular needle through the skin simply over the tailbone region into the epidural space. An X-Ray dye will be injected into the needle to picture the scarred region. A particular catheter will be inserted through the needle to the scarred zone in order to break the adhesions. Furthermore, different liquids will be injected through the catheter with an objective to diminish the pain, break down scar tissue, and decrease inflammation. Regular medications utilized are steroids, local anesthetic, enzyme and hypertonic saline. In most cases, the procedure is utilized with patients who have constant lower back and leg pain because of epidural adhesions after lumbar (lower) spine surgery or an injury. However, symptoms include lower back pain (normally a consistent, burning pain), radicular pain, (for example, sciatica which shoots from the spine into the thighs, calves or feet), muscle spasms, motor/sensory or reflex changes, and restricted flexibility in the thighs and calves. Herniated or prolapsed intervertebral discs (particularly when not surgically correctable). Metastatic carcinoma of the spine (driving towards compression fracture). Degenerative spondylosis (influencing numerous levels of the spine). Spinal (back) stenosis (a reduction of the open spaces within the spine). Post-laminectomy syndrome (failed back surgery). Degenerative arthritis of the spine. Epidural lysis procedure is certainly not a “first line” treatment. However, in most cases, patients who go through this treatment have attempted more conservative treatment alternatives, (for example, medications and epidural steroid injections), which have been unsuccessful to ease the pain. Sep 03 Comments Off on Want a reliable solution for persistent back pain? 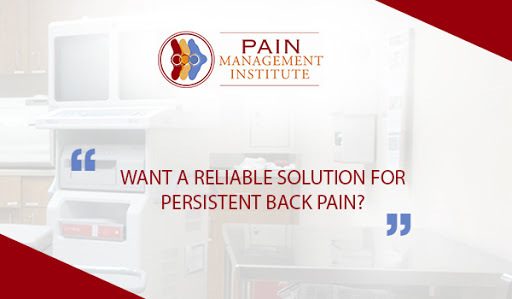 Want a reliable solution for persistent back pain? Epidural lysis of adhesions alludes to a percutaneous spinal strategy for relief from discomfort (Racz method). Pain may arise because of epidural aggravation, nerve root pressure, venous engorgement, and scar tissue. Lumbar spinal stenosis causes different types of painful sensations in back or leg, and is perceived with expanding recurrence in elderly patients whose physical status isn’t constantly reasonable for medical procedure. Epidural adhesions are frequently caused by spillage into the lumbar spine’s epidural space following careful intercession. Adhesions can lead to tireless leg torment, yet pain doctors are equipped for separating the scar tissues that structure and cause this pain with the utilization of an uncommon catheter and blend of medicines. This system is known as epidural lysis procedure. Epidural lysis strategy is anything but a “first line” treatment meaning, the patients who experience this treatment have attempted more preservationist treatment choices, for example, prescriptions and epidural steroid infusions, medical procedure, which have neglected to alleviate their pain.